TEAOLOGY is a range of cosmetics specialties for skin care developed joining the well-known effectiveness of the tea plant – a brand infused by love, love for tea, for beauty and innovation, as they themselves declare. 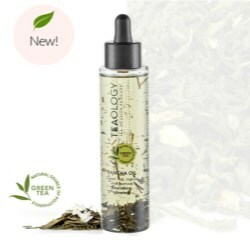 Bringing the extraordinary properties of tea to a further level, Teaology has designed a totally unique technology: Tea Infusion Skincare® to create high performance skincare infused with the most powerful antioxidant ingredients. With this philosophy and its exclusive, patented technology, the brand has recently presented a mix of precious botanical oils infused with Bancha green tea to be applied with precision, drop by drop thanks to its cosmetic dropper pack by Virospack. Bancha oil is a nourishing, elasticising and brightening oil with 99% of its ingredients from natural sources. 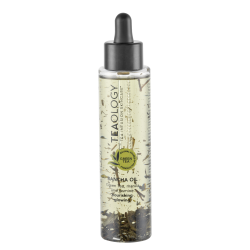 Its natural formulation is highlighted by its packaging featuring tea twigs floating in a transparent bottle. This combines perfectly with the classic dropper manufactured by Virospack, composed of a bulb and a black injected cap, as requested by the brand. The classic dropper with glass pipette to facilitate the use of the product, ensures perfect dosing and precise application. Bancha oil can be applied liberally all over the body. It can also be used on the face on its own or by mixing a few drops with the consumer's usual cream or foundation. It is ideal for hydrating the lips before lipstick application to create highlights. It can also be used on the ends of hair, or as a full hair mask. Bancha Oil provides excellent nourishing for the face, body and hair, and thanks to its presentation in a Virospack dropper, its application is comfortable and clean as every drop applied is fully controlled, whatever the area to be treated.